Santa Monica, CA: A preliminary settlement has been reached in a Paxil® class action lawsuit, and if approved, will provide money to California residents who were 18 years old or older and who paid for any portion of the price of the prescription antidepressant while living in California from January 14, 1999 through January 1, 2003, and who qualify under the settlement (these people are called "Class Members"). 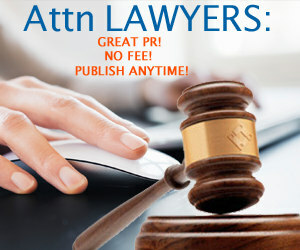 If you're included, you may ask for a payment, or you can exclude yourself from, or object to, the settlement. The Superior Court for the State of California will have a hearing to decide whether to approve the settlement so that payments can be issued. The lawsuit claims that GlaxoSmithKline falsely advertised and promoted Paxil® as being non-habit forming or non-addictive and that GlaxoSmithKline's advertisements and promotional materials failed to disclose the risk of symptoms from stopping or discontinuing Paxil®. GlaxoSmithKline denies each of these allegations. The settlement provides monetary compensation as follows: a full refund of the actual Out-of-Pocket Expenses of claimants who purchased Paxil® during the Class Period and who have valid documentary Proof of Purchase, provided that the total amount of payments to claimants with documented Proof of Purchase cannot exceed $8,500,000.00. For claimants without Proof of Purchase, GlaxoSmithKline shall pay actual Out-of-Pocket Expenses up to $80.00 per claimant, provided that the total amount paid to claimants without Proof of Purchase cannot exceed $500,000.00. GlaxoSmithKline will also: (1) make a charitable contribution of $1,000,000.00 to be shared equally by four California mental health charities; (2) agree to certain limits on any future advertising for Paxil®; and (3) include certain information about Paxil® on its corporate website. HOW DO YOU GET A PAYMENT? You must complete the Claim Form, which you can obtain at CApaxilclassaction.com, and mail it no later than October 10, 2012 to the address on the form. Whether you receive a payment and the amount you get depends on whether you have a valid claim, how much Paxil® you paid for, whether or not you have valid Proof of Purchase, and how many valid claims are filed. If you don't want a payment from the settlement, or if you don't want to be legally bound by the settlement, you must exclude yourself by October 10, 2012, or you won't be able to sue, or continue to sue, GlaxoSmithKline about the legal claims in this case. If you exclude yourself, you cannot get a payment from this settlement. If you stay in the settlement, you may choose to object to it, if you do so by October 10, 2012. 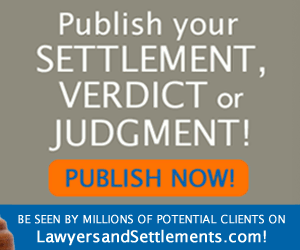 You may both object and still participate in the settlement and receive money. The detailed notice explains how to exclude yourself or object. The Court will hold a hearing in this case, called Grair, et al. v. GlaxoSmithKline, Inc., Case No. BC 288536, to consider whether to approve the settlement and a request by the lawyers representing the Class for fees and expenses. You may ask to appear and speak at the hearing, but you don't have to. For more information, go to A detailed notice is available at CApaxilclassaction.com or write to the Paxil Settlement Administratorc/o GCG, P.O. Box 9839Dublin, OH 43017-5739.